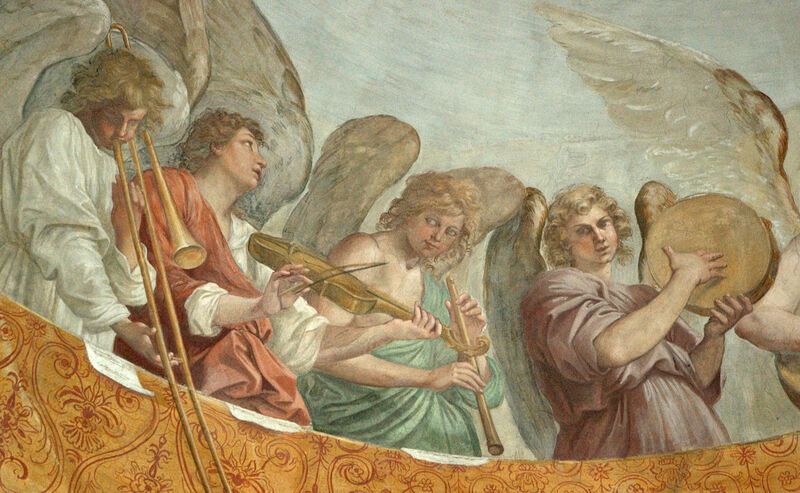 Today I found a much better reproduction of this painting (at least the half of the painting that contains the trombone), and I’ve included the new detail shown here in the Trombone History Timeline (17th century, 2nd half). Look for it also in a couple of articles: Trombone History in Latin America and How to Hold a Sackbut: The Grip of the Early Trombone in Pictures. It’s really a striking picture: in addition to details like the lace work on the bottom of the robes, in this version you can see engraving on the trombone bell, as well as details like the flat stay on the trombone’s rear bow of tubing. You can also see that the young musicians behind the trombone and cornetto are playing woodwinds (probably shawms), not brass. 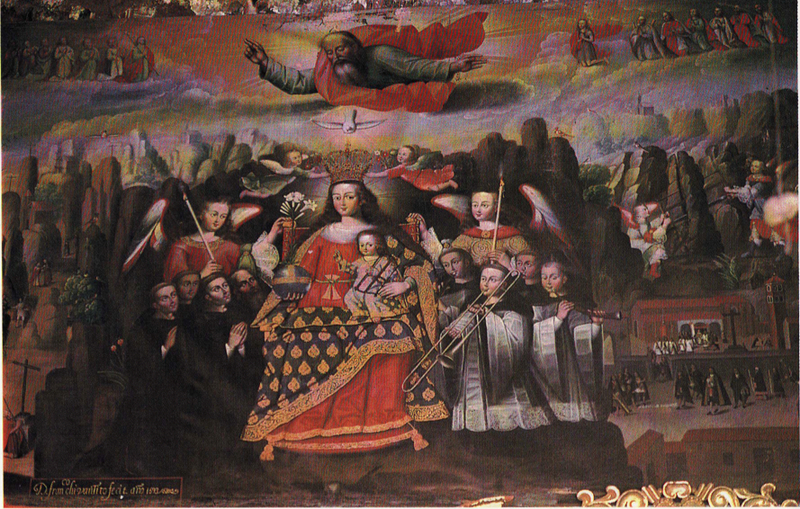 1693—Cusco, Peru: Francisco Chihuantito’s painting, The Virgin of Monserrat, located in the parochial church of Chichero, Cusco, includes a depiction of a trombonist in a prominent position near the center of the painting. 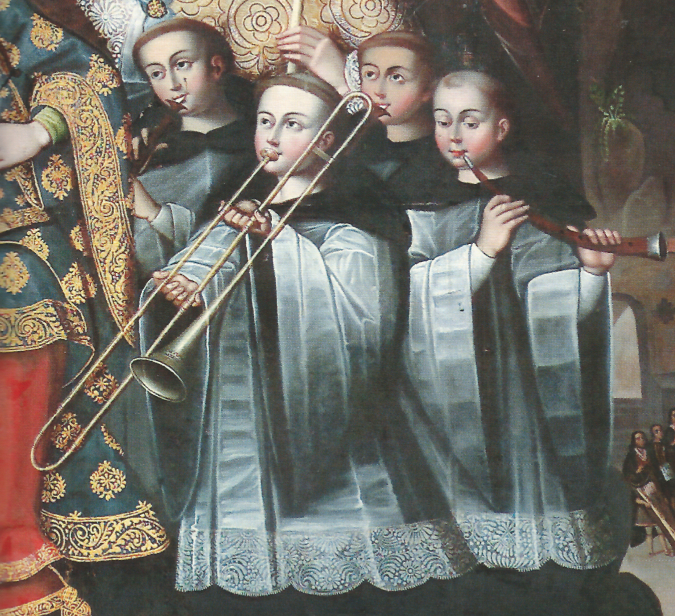 A cornett player stands to the right of the trombonist, while two other similarly-dressed musicians, probably playing shawms, stand behind (see detail and full painting below; click on full image to expand; public domain image) (Velarde 82; Rosas 384; Pinilla 73).